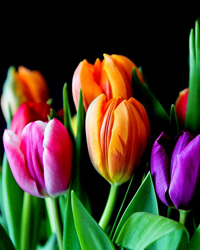 Obituary for Harlene M. Gill | Lumberton Family Funeral Home, LLC. Harlene Marie Gill, age 76, passed away on Arpil 6, 2019. She was born on November 8, 1942 to Howard Mortison and Roberta in Conneaut, Ohio. Harlene cherished her family, as a wife, mother, grandmother, and great-grandmother, every moment was a gift. She was a hard worker and everyone who met her, liked her. She never met a stranger and that ability was contributed to the fact that she treated each person she met with respect. Harlene was waitressing at a restaurant when she and Richard met, something just clicked, and kept clicking for 47 years. She could sew, garden, can foods, and even take care of the animals when she and Richard lived in Pennsylvania, she was a resourceful woman. She was cherished by her family and admired by her friends, she leaves behind a legacy a joy. Left to honor her memory is her loving husband, Richard Gill; sons, Timothy Panko, Lee Gill; daughters, Regina Panko, Jackie Cerne, Monica Morgan and husband, Bill; 10 Grandchildren and 4 great-grandchildren. She is preceded in death by her parents and son, Justin; sister, Beverly.